When we opened Scienceworks in 1992, our vision was a place for young people to play with science. We linked Melbourne’s industry, heritage and applied technology in one place: a new building looking across the arena to the century-old Pumping Station, all under the grand arc of the West Gate Bridge. Today, Scienceworks is bursting with things to challenge curious minds of all ages. 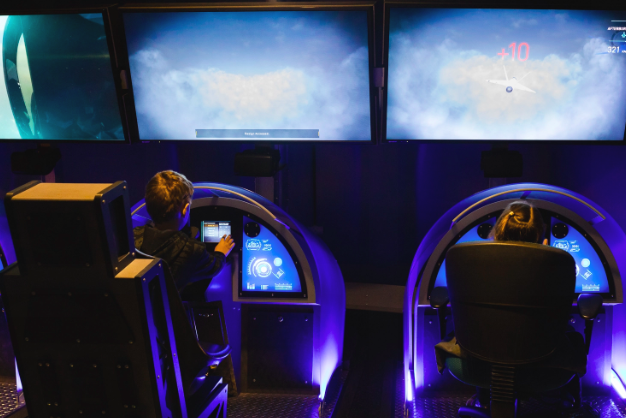 In just one visit, you can stroll among the gigantic machines that kept the city running, enjoy electrifying theatre in the Lightning Room, let your little ones roam safely in enclosed spaces, wander through our immersive exhibitions and drop into deep space in the Melbourne Planetarium.